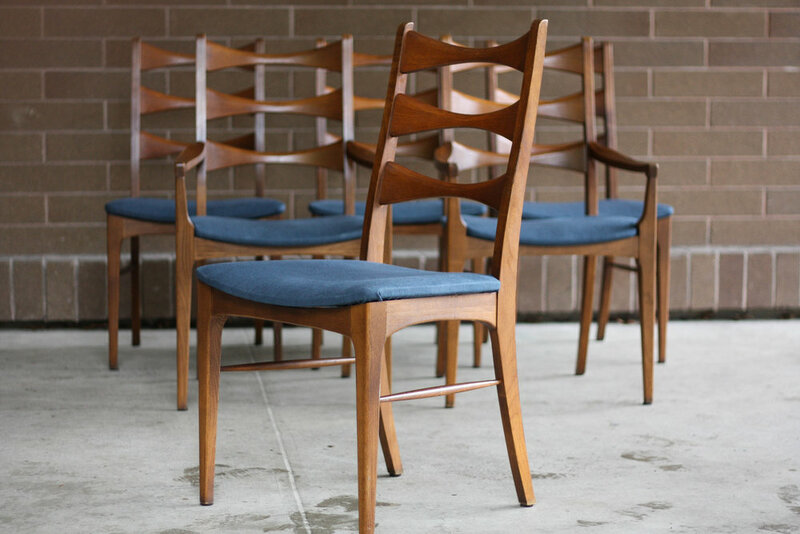 Featured a classic mid century Lane "Rhythm" set of 6 dining chairs. 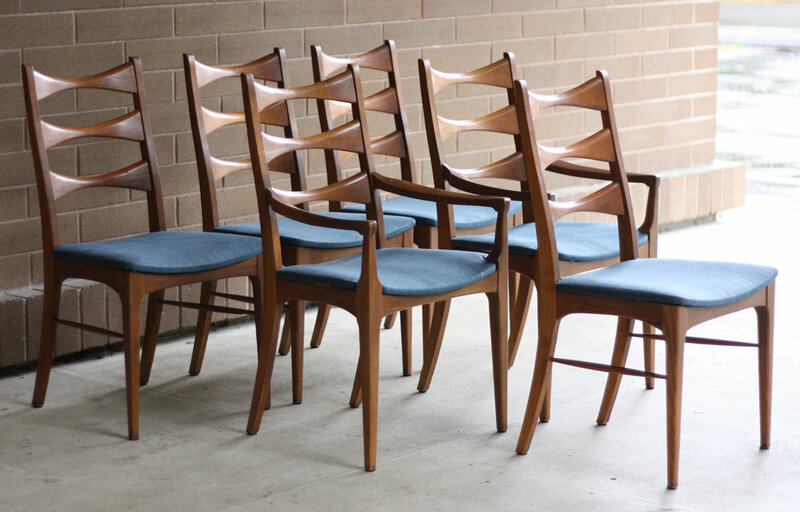 Four side chairs and two captain chairs complete the set. 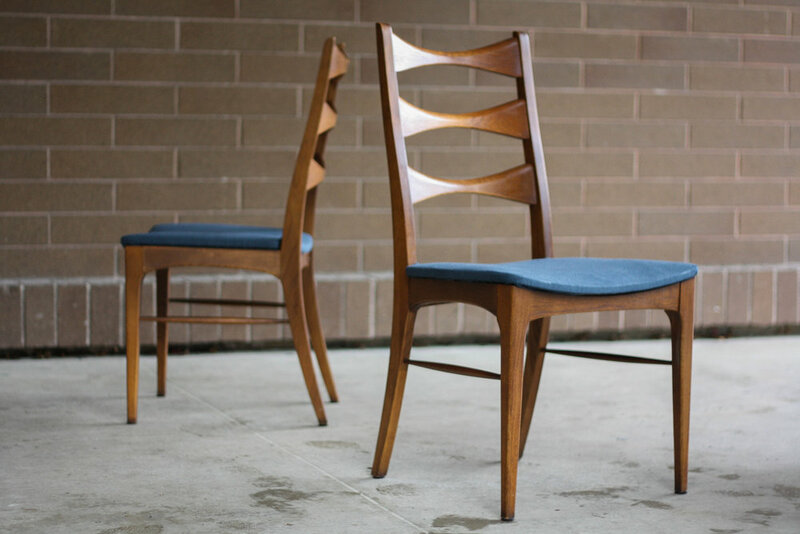 Check out the stunning "cat eye" shape of the back rest! 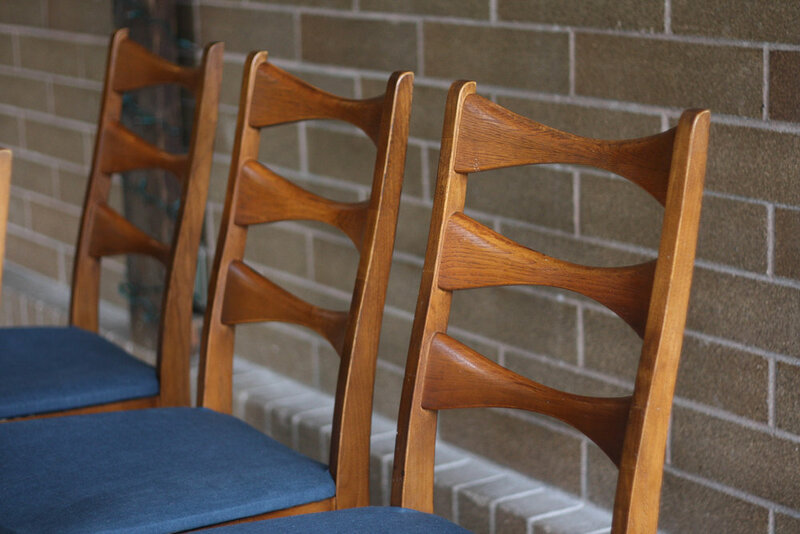 The seat cushions were recently reupholstered in a nice textured neautral blue fabric. 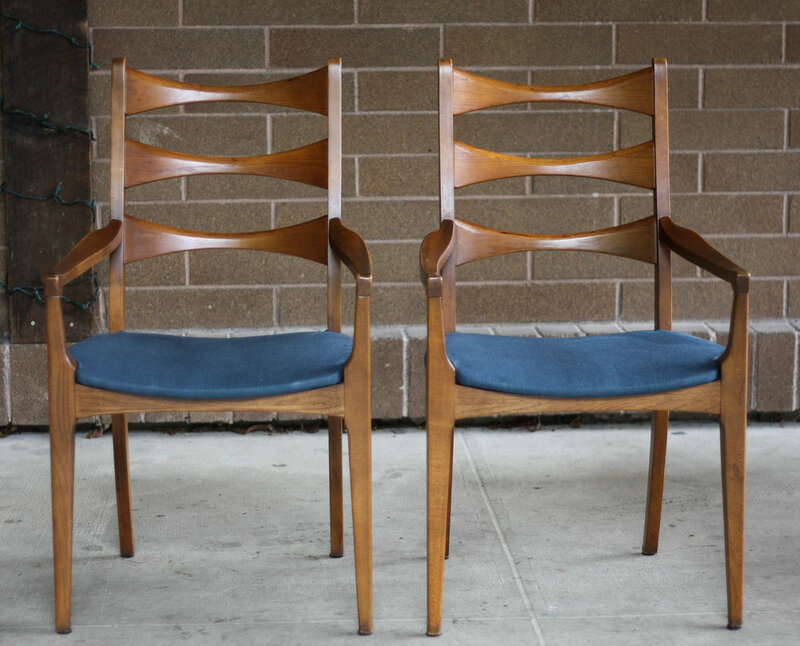 The chairs are in good vintage condition as seen in the photos with light signs of expected use and some blemishes and finish wear. You have to look close to notice the imperfections and from any reasonable distance they look excellent.